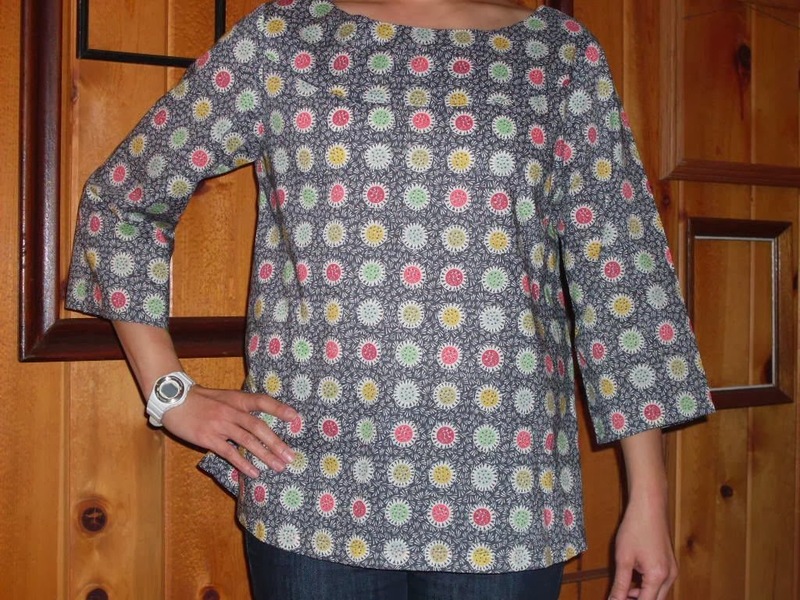 Here's a shirt I just finished sewing up from the untitled Japanese pattern book I bought several weeks ago. If you look closely, you can see the exterior yoke on the front neckline. It also continues on the back. 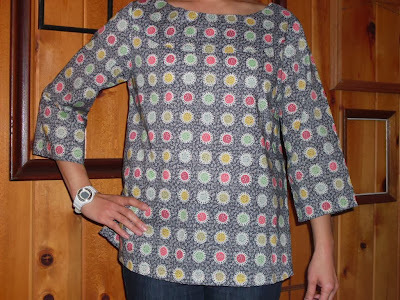 I used the winter thistle Liberty fabric that I got from a Bolt sale a few months ago and it provides the perfect drape for the slight trapeze styling of the shirt. This pattern was extremely easy to sew and only took a couple of hours to complete. I love it!